Chris joined Watsi on June 27th, 2016. Two years ago, Chris became the 2710th member to automatically support a new Watsi patient every month. Since then, 2,376 more people have become monthly donors! 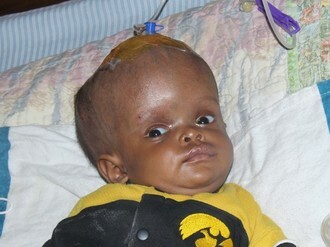 Chris' most recent donation traveled 8,500 miles to support Georgeline, a baby girl from Kenya, to fund spinal surgery. Chris has funded healthcare for 27 patients in 10 countries. Dieunika is a student from Haiti. 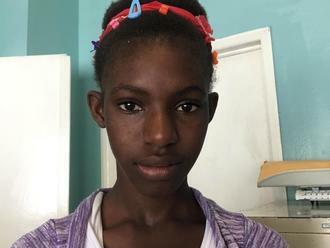 She lives with her parents, two brothers, and one sister in a neighborhood of Port-au-Prince. She is in the seventh grade and likes studying math and science. Dieunika has a cardiac condition called atrial septal defect. A hole exists between the two upper chambers of her heart, leaving her sick and short of breath. 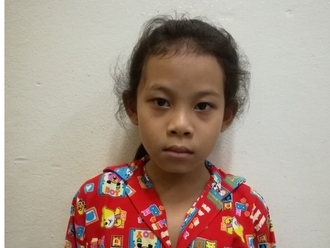 On February 10, she will undergo cardiac surgery at St. Damien Hospital, our medical partner's care center. During surgery, surgeons will sew a patch over the hole in her heart so blood can no longer leak through it. Another organization, Gift of Life International, is contributing $5,000 to pay for surgery. Dieunika's family also needs help to fund the costs of surgery prep. The $1,500 requested by our medical partner, Haiti Cardiac Alliance, covers cardiac exams and medications. She says, "I am excited to have my heart fixed and want to say thank you to everyone who is helping me!" Catherine is a trader from Kenya. She is a mother of six children. Catherine has been diagnosed with breast cancer. Without treatment, the cancer may spread to other organs. A mastectomy, a surgery to remove breast tissue, has been suggested to rid her body of breast cancer and to prevent the cancer from metastasizing. Our medical partner, African Mission Healthcare Foundation, is requesting $816 to cover the cost of a mastectomy for Catherine. The procedure is scheduled to take place on December 21. After treatment, Catherine will hopefully return to a cancer-free life. Catherine says, “My prayer is to be treated and discharged from the hospital. I want to fight off this cancer." Su is a 12-year-old student from Burma. She lives with her parents and six-year-old sister in San Ywar Gyi Village, Myanaung Township, Ayeyarwady Division. In her free time, Su likes to listen to music and dance. One year ago, Su began to experience itchiness, pain, and blurry vision. These symptoms have made it increasingly difficult for her to see clearly. Su was diagnosed with retinal detachment, a condition in which the retina pulls away from the supportive tissue in the eye, resulting in vision loss. If left untreated, she could lose vision completely. Su is scheduled to undergo surgery to reattach her retina on November 22. Our medical partner, Burma Children Medical Fund, is requesting $1,500 to cover the total cost of her procedure and care. After his surgery, Su's vision will hopefully be restored, and she will resume her daily activities comfortably. Su says, "I want to become a teacher in the future." Samuel is an infant from Kenya. He is 11 days old. Samuel’s mother is a farmer. Samuel was born with spina bifida, a type of neural tube defect in which the spine does not properly close around the spinal cord. Without treatment, Samuel is at risk of lower-limb paralysis, infection of the exposed nervous tissue, development of tethered cord syndrome, and possible developmental delays. Our medical partner, African Mission Healthcare Foundation, is requesting $1,097 to cover the cost of Samuel's spina bifida closure surgery. The procedure is scheduled to take place on October 15. This procedure will hopefully spare Samuel from the risks associated with his condition, instead allowing him to grow and develop along a healthy trajectory. “I am hoping that my son can get help in all ways possible because this condition is really heartbreaking,” shares Samuel’s mother. Emmanuel is a baby from Kenya. He was born with spina bifida, a type of neural tube defect in which the spine does not properly close around the spinal cord. Without treatment, Emmanuel is at risk of lower-limb paralysis, infection of the exposed nervous tissue, development of tethered cord syndrome, and possible developmental delays. Our medical partner, African Mission Healthcare Foundation, is requesting $1,097 to cover the cost of Emmanuel's spina bifida closure surgery. The procedure is scheduled to take place on August 24. This procedure will hopefully spare Emmanuel from the risks associated with his condition, instead allowing him to grow and develop along a healthy trajectory. “I am truly happy that we may get help for Emmanuel’s treatment,” says Emmanuel’s guardian. Sorng is a factory worker from Cambodia. He has two brothers and two sisters. He likes do housework in his free time. Five months ago, he was in a motor vehicle accident that caused paralysis of his left arm. He has been diagnosed with a brachial plexus injury on his left side. The brachial plexus is a nerve network that transmits signals from the spine to the shoulder, arm, and hand. Injuries to this nerve network can result in loss of function and sensation. He cannot move his arm and is in chronic pain. 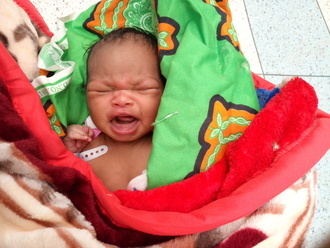 Sorng traveled to our medical partner's care center to receive treatment. On August 8, he will undergo a brachial plexus repair surgery. After recovery, he will be able to use his arm again. Our medical partner, Children's Surgical Centre, is requesting $637 to fund this procedure. He says, "I hope after the operation, I can move my arm and hand without any pain." Saw is a 28-year-old man from Burma. He lives with his wife, daughter, and two nephews. He used to work as a chef in Thailand, but three months ago, he moved back to his village in Burma. His wife works around the home, caring for their daughter and their nephews. Two months ago, Saw climbed a palm tree to collect coconuts. When he reached the top, he suddenly fainted and fell down, breaking his left femur and arm. Since the accident, he has not been able to work. 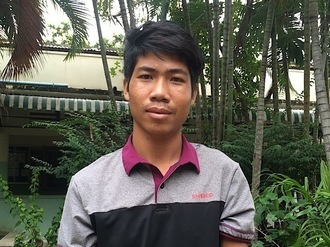 In April 2018, he underwent internal fixation for his broken femur at Mae Sot Hospital. He felt a lot better after surgery, but in late June 2018, he accidentally fell from his bed and broke his left femur again. A few days after the accident, Saw started to experience pain in his left leg. Now, he cannot walk anymore. Saw says, "I am afraid to move because of the pain and I also have pain in my left arm when I try to walk and use crutches." He needs to undergo further treatment, including a removal of the hardware installed during his first surgery and then another internal fixation surgery to heal the fracture. Fortunately, after visiting our medical partner's care center, he was scheduled for surgery on July 17. Now, he needs help raising $1,500 to fund surgery. Chai is a 14-year-old boy from Burma. He lives with his family. Chai has poor vision, and he depends on his mother to look after him. He had to drop out of school because his vision is blurry. Our medical partner, Burma Children Medical Fund, is requesting $1,500 to fund lens replacement surgery for Chai. On May 16, doctors will perform a lens replacement, during which they will remove Chai's natural lenses and replace them with an intraocular lens implant in each eye. After recovery, he will be able to see clearly. Now, he needs help to fund this $1,500 procedure. “I would like to go back to school and one day become a primary school teacher,” said Chai.